The Netherlands is known for its beautiful tulips, iconic historic windmills, gouda cheese, and canals. Amsterdam, as the biggest city in the country and its capital, is the peak of art, history, and culture in the Netherlands, and in addition to being a fun and lively European metropolis. Here are the top 6 things that you won't want to miss. If you're the kind of tourist who strives to see as many historic places as possible in every city that you visit, the Anne Frank House should definitely be on your list. This is a place to learn more about antisemitism, fascism, and to really reflect on the tragedy of the Holocaust. More than just a historic landmark, visiting the Anne Frank house is a way to experience what a Jewish family went through and to pay your respects. If you can't imagine visiting a new city without discovering the nightlife, you should head to the Leidseplein. With all the bars, restaurants, casinos, clubs, and theaters, this square is a center of entertainment in Amsterdam. One of the most famous theaters of the city, the Stadsschouwburg, is also a prime example of the neo-Renaissance architectural style. Amsterdam is known for its vibrant nightlife, friendly locals, and prime beers - you won't want to miss this! Even if you're not really "into" art, the Van Gogh Museum is worth visiting to learn everything about the work and life of Vincent Van Gogh. Being the second most visited museum in the Netherlands, this museum presents the largest collection of original drawings of the famous painter, as well as some paintings of his contemporaries. In order to avoid having to stand in line, make sure to purchase the tickets online beforehand. 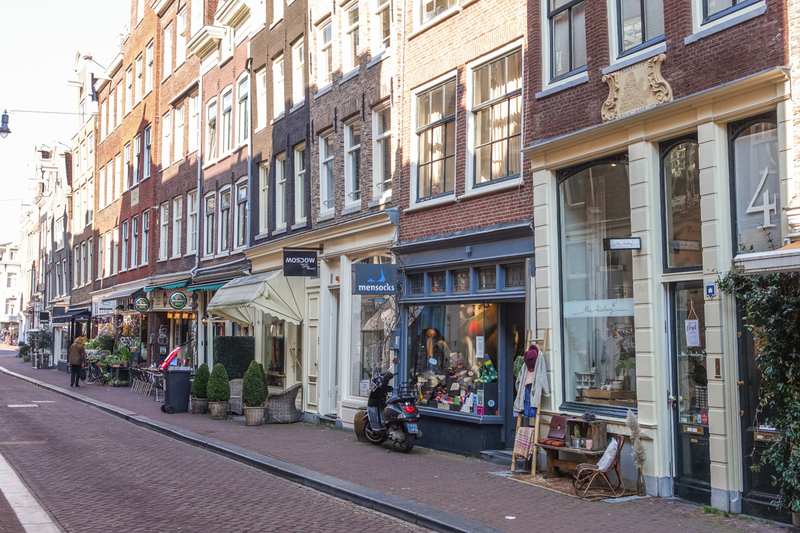 Translated as the Nine Little Streets, De Negen Straatjes is a historical neighborhood that is one of the most popular shopping areas in Amsterdam today. Quaint but charming little shops sell books, food, vintage clothes, pieces of art, and other unique odds and ends that you wouldn't be able to find anywhere else. When you get tired of walking around, stop at one of the authentic cafes or restaurants that line the streets, as this is a prime area for people watching. A globally recognized brand, wannabe brewers and casual drinkers will enjoy the Heineken historical brewery. Take a tour through the factory, and discover the history of the Heineken family and the insights of the beer making process. Your tour finishes off with a free beer tasting, a perfect refreshment after walking around all afternoon. You can even create your own bottle of beer during your journey as a memento. Vondelpark is a great place to have some rest and enjoy some nature after you spend the day sightseeing. The park is just perfect for picnicking near one of the ponds, inline skating on the many pedestrian-only paths, or just wandering and people watching. Named for the 17th-century playwright and poet Joost van den Vondel, it is appropiate that there is also is an open-air theater operating in summer where you can listen to live music, watch cabarets, movies, or artistic performances. This is just a small sampler of some of the things that you can see and do in Amsterdam - by all means, this is a city that takes months or even years to fully experience, but you can only fit so much into your vacation plans. You won't be disappointed, as Amsterdam is easily one of the best destinations in Europe.